Dr. Sarita Prasad received the B.S. and M.S. degrees in electric and electronic control engineering from Nagaoka University of Technology, Niigata, Japan, in 2001 and 2003, respectively and the Ph.D. degree in Engineering from the University of New Mexico, Albuquerque, NM, in 2010. She received the NPSS Graduate Student’s Award in 2009 and the Art Gunther Award for Outstanding Student in Pulsed Power in 2010. She has been an IEEE member for 12 years. 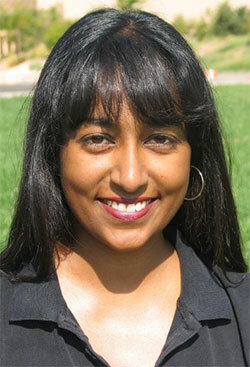 She is currently a Research Assistant Professor at UNM, Albuquerque. Her responsibilities include being in charge of all laboratory experiments in the Pulsed Power, Beams and Microwaves Laboratory. Supervise graduate students and undergraduate employees. Coordinate and plan upcoming experimental campaigns with Professors Schamiloglu and Fuks at UNM. Perform particle-in-cell computer simulations to guide experimental work.